OS X El Capitan and iOS 9 public betas is now available for iOS users who wish to try into the new mobile operating system after Apple announced at WWDC last month. Mac, iPhone, or iPad users are available to get installation and download instructions for this new OS after signing up via Apple’s Beta Software Program website. The public beta version will allow users to easily tested and submit preview for issues with the upcoming version of the operating system prior to its stable launch this fall. 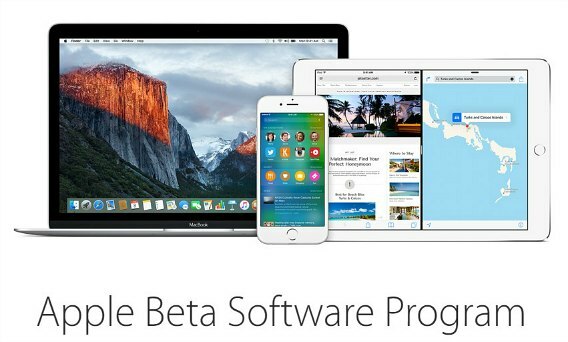 iOS users who registed the public beta will be able to get free install OS X El Capitan final version when it is released this fall. iOS 9 beta build bring lots of new features, including improved Siri, transit directions in Apple Maps, multitaksing on iPad, smarter search, and other minor updates. Meanwhile, for El Capitan build comes with bunch of minor improvements that make it more users friendly. The improvements including new Mission Control, Spotlight, new split screen view for full screen apps, and other. In addition, the El Capitan build also contained known issues with two-factor authentication, restoring Time Machine backups for Mail, import iPhoto and Aperture libraries into Photos, and etc. For iOS users who willing to try can sign up as Public Beta Program member on Apple’s website here. If you’ve already signed up previously, you should be able to download the update when visit the page with an iOS device. On OS X, just head to here to grab it. Note: Some apps may not work properly for beta version, so it is strongly recommend making backups of all data before install in case problems arise with either apps or the operating systems.